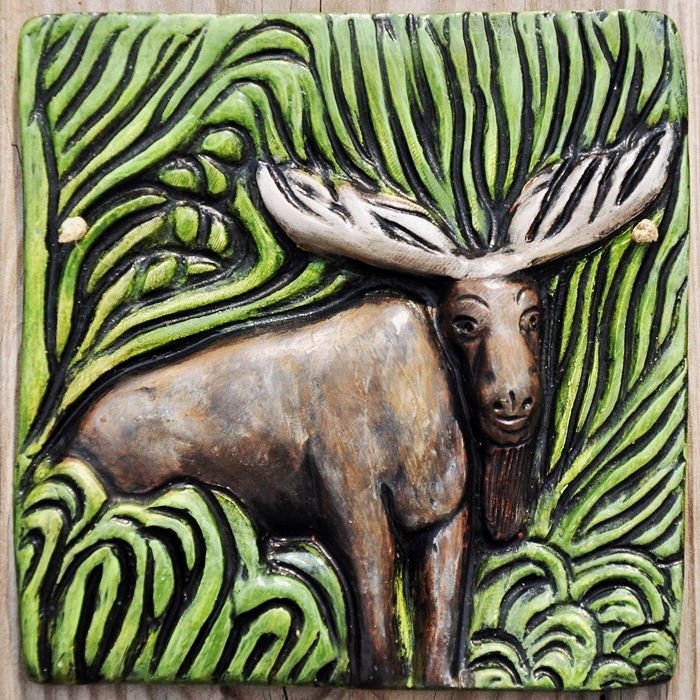 This is my rendition of a moose wading through tall grass in the woods. It is made with stoneware clay, kiln-fired, then hand painted with acrylics in hues of green and brown, followed by a durable varnish. Measures approximately 5" x 5". Hangs on the wall with durable hemp string. *If you like this design, but want it in a different color, or plain, unglazed, unpainted terra cotta, please put in a special request. Custom orders are always welcome.